Get your company registered in some hours / one day. ii. Short Memorandum of Association and short Articles of Association have been adopted and submitted with the documents. (a) by 10:00 a.m. on any working day, such cases shall be disposed of on the same day. ii. If the documents for incorporation are submitted under FTRS and the same are available in the process list of dealing officer by 3:00 p.m. on any working day, such cases shall be disposed within two hours of receipt of documents in the process list of dealing officer. If the documents are filed after 3:00 p.m. the same shall be disposed of the next day within first two hours. Applicant may apply for the availability of name either offline or online. Further, the application may be submitted with normal fee or through Fast Track Registration Services (FTRS) for urgent processing in 4 hours. Below is the list of prohibited words (words not allowed) as specified by SECP. Name of Company containing country name or nationality other than Pakistan. These names are not allowed unless sufficient justification is provided. Patronage of past or present, Pakistani or Foreign, Head of State/ any connection with Federal or Provincial Government, Department or authority/any connection with corporation set up by or under Federal/Provisional Law/ the patronage of, or any connection with, any Foreign Government or any International Organization. provided sufficient justification is furnished. Important Note Regarding Spellings of Proposed Names. not be accepted and the name will be rejected. To download a list of prohibited words for company name reservation click here. 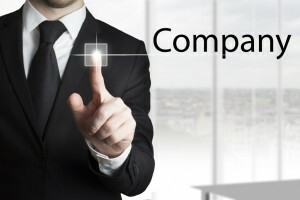 Any three or more persons associated for lawful purpose may, by subscribing their names to the Memorandum of Association and complying with the requirements of the Companies Ordinance form a public company and any two or more persons so associated may, in like manner, form a private company. If only one member forms a private company, it is called a single member private company. Applicant may apply for the incorporation of the company either offline or online. Further, the application may be submitted with normal fee or through Fast Track Registration Services (FTRS) for urgent processing in 4 hours. The Securities & Exchange Commission of Pakistan (SECP), with the aim to bring the non-corporate business into the corporate fold and to further facilitate registration of companies, has launched swift incorporation scheme under which a company is registered on the same day as against two working days with ordinary fee and within two hours under Fast Track Registration Services (FTRS) as against four hours, without charging any extra fee for speedy disposal of documents. Following steps involve in Company Registration in Pakistan when formed through online mode. Search the availability of name of the proposed company for Company Registration in Pakistan. If same name or any identical name already taken, then try other options for new company name. Company Name Search is free and attract no fees. 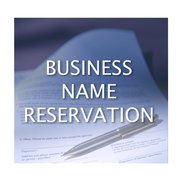 If the proposed name of the company is available, then the second step is to apply for company name reservation. For name reservation, go to SECP website create the user login and start the name reservation process. Follow the steps as directed. The first step in company Registration in Pakistan is to make an application to the registrar of companies for the availability of name. The application can be made both online and in offline mode and normally takes a period of one to two days before confirmation of the name applied for new company registration in Pakistan. Before making an application to the Securities and Exchange Commission of Pakistan for company registration please do not forget to do Company Name Search on the Securities and Exchange Commission of Pakistan website. Once the name is confirmed you can proceed with the process of company registration in Pakistan. Fee. Deposit applicable fee in selected MCB or UBL bank. i). You already have one login/user ID which will be used for one Director of the proposed Company. For remaining directors create secondary user ids through login into existing user ID in secp eservices for all directors. Attested copies of Availability of Name Letter issued by SECP. iii). NIFT will deliver digital signatures details through email. Download the signature at the same day while following the instructions given in that email. If have problem in downloading call at NIFT Help Line. Memorandum of Association is the basic document where all the objectives of the company registration are stated e.g. the basic objective of company registration is to engage in the business of general order supplier or trading company or any other business. All the business the company is planning to undertake must be stated in the memorandum in order to get the process of company registration in Pakistan to complete. Articles of Association is the basic document where all the rules of the company to operate are stated e.g. How directors are going to operate, when how General Meetings of the company undergoing the process of company registration in Pakistan is to be conducted etc. Form 1 for company registration is the basically a declaration of one of the directors of the company about to be registered. Form 1 can be downloaded from Securities and Exchange Commission of Pakistan website. This is another compulsory component of company registration process in Pakistan. Form 21 is the form whereby the address of company undergoing the process of company registration in Pakistan is notified to the registrar. Form 29 contains information about the particulars of the directors of the company that is undergoing the process of company registration in Pakistan. Hope the above article helped you regarding knowing steps involved in Company Registration in Pakistan. Do share your thoughts or comments to us. To get help from Synergy Business Consulting for your Pakistan Company Set up CLICK HERE. 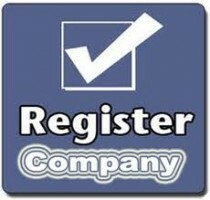 To know more about Company Registration in Pakistan CLICK HERE. You make take help from our FAQs Section if you have any question in mind or Contact Us for further guidance. This brief overview explains, in very general terms, the procedure and requirements for registration of a company in Pakistan. These brief notes are for general guidance only and should not be taken as a substitute for thorough and professional legal advice. Companies remain the most favored form of business organizations in Pakistan especially for medium and large-scale business enterprises. 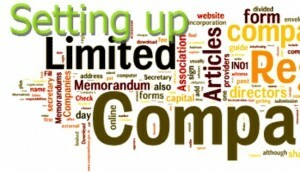 b) a public limited company (which may be listed or unlisted). Step No. 1 for Registration of a Company in Pakistan – Availability of Name: The first step with regard to incorporation of a company is to seek availability of the proposed name for the company from the Registrar. For this purpose, an application is to be made and a fee of Rs.200 is required to be paid for seeking availability certificate. Copy of national identity card or passport, in case of foreigner, of each subscriber and witness to the memorandum and article of association. Memorandum and articles of association – Four printed copes of Memorandum and Articles of Association duly signed by each subscriber in the presence of one witness. Form 1 – Declaration of compliance with the pre-requisites for formation of the company. Registration/filing fee – A copy of the original paid Challan in the authorized branches of Habib Bank Limited or a Bank Draft/ Pay Order drawn in favour of the Securities and Exchange Commission of Pakistan of the prescribed amount. Authorisation by sponsors – The authorisation of sponsors in favour of a person to make good the deficiencies, if any, in memorandum and articles of association as may be pointed out by the registrar concerned and to collect the certificate of incorporation Documents required for registration of a Single Member Company in Pakistan Any person may form a single member company and would file with the registrar at the time of incorporation a nomination in prescribed form indicating at least two individuals to act as nominee director and alternate nominee director, of the company in the event of his death. All requirements for incorporation of a private limited company shall mutatis mutandis apply to a single member company. Documents required for registration of an association not for profit in Pakistan All the documents meant for incorporation of a limited company alongwith a licence issued by the SEC. In case of a trade body, a licence issued by the Ministry of Commerce would also be submitted to the registrar concerned. The application for obtaining the requisite licence from the Commission should be accompanied by draft memorandum and Articles of Association, list of promoters, bio-data of each promoter, declaration, names of companies in which the promoters of the proposed association hold any office, estimates of annual income and expenditure and brief statement of work already done or to be done. While registering your business as a private limited company in Pakistan (Company Registration, Company Formation, Company Incorporation in Pakistan) you should be aware, how a company functions? The business of a company is run and managed by its board of directors; which is headed by a Chief Executive. The companies appoint these officers as required by the Companies Ordinance, 1984 (hereinafter referred to as “the Ordinance”). The Ordinance necessitates the appointment of at least one director and a company secretary for a single member company, two directors for a private limited company, three directors for an unlisted public company and seven directors and a company secretary for a public listed company. The director, or directors, must manage the company’s affairs in accordance with its memorandum and articles of association and the law. Certain responsibilities apply to all directors, whether executive or non-executive. PESSI is your partner in progress. By adopting transparent practices, PESSI believes in helping businesses overcome their unforeseen expenses incurred due to accidents, deaths, sickness, disability, maternity etc. of their workers and provides a complete solution to the workers and their dependents. The establishment with 5 or more workers are entitled to be registered with PESSI under the Government of Punjab Notification No. SO (Dev-I)/PESSI/7-120/03 dated 18.07.2003 from the date of their setting up. 1 Sickness benefits including TB & Cancer 75% of the wages upto 121 days in a year.In case of T.B/Cancer Sickness benefits is paid @ 100% of wages for 365 days. 3 Maternity benefit. Admissible to concerned woman @ 100% of her wages for 6 weeks pre natal and 6 weeks post natal . What are the medical facilities available for secured workers and their dependents? On a case-to-case basis and after approval from its Governing Body, PESSI may arrange for overseas medical treatment. 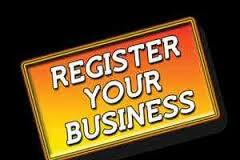 To Get Complete Information On Registering your Company Click Here.